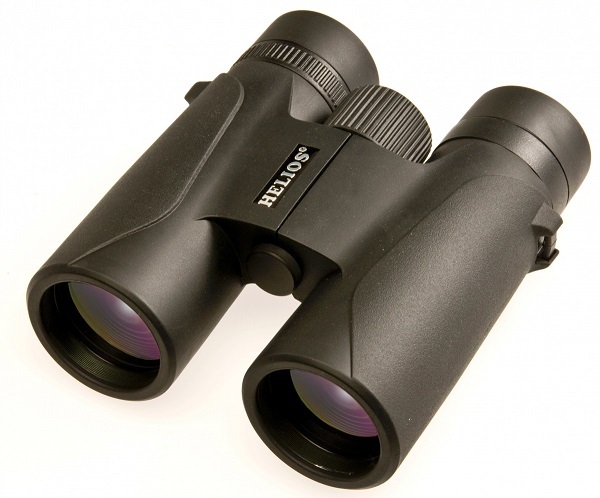 The Helios Sirocco II 10x42 roof prism binoculars are packed with high end features at a remarkable price point, making them outstanding value birdwatching glasses. They feature high-index BaK-4 prisms and fully multi-coated optics for excellent optical performance. Furthermore the prisms are both Silver-Coated and Phase-Coated for enhanced light transmission and contrast. Lightweight and comfortable to hold, with stylishly designed protective rubber armouring. Supplied with neoprene neck strap, eyepiece rainguard and soft case.